January 25, 2006  Rilo Kiley singer Jenny Lewis; Gorgeous odds and ends from Hem; Former Byrds singer Roger McGuinn; Remembering the remarkable Mozart; Instrumental rock by Explosions in the Sky and more. June 21, 2011  He has no website (yet) and no records as a leader in the last 10 years. 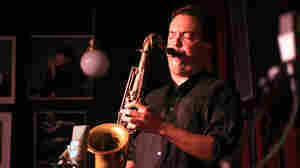 But he's probably the most influential tenor saxophonist of his generation. Hear a live recording from the legendary venue. 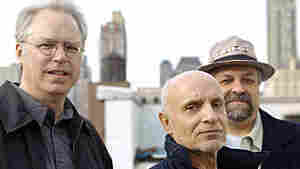 September 3, 2008  Paul Motian, Bill Frisell and Joe Lovano are all towering figures of modern jazz. They also happen to have played together for more than a quarter-century. They convene once again at the club. 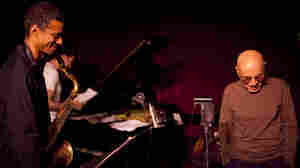 June 8, 2009  Many recognize the tenor saxophonist as one of the most original voices of his generation; one who possesses the rare ability to distill abstruse modern ideas into gorgeous, palpably warm music. March 24, 2005  Jazz critic Kevin Whitehead reviews I Have The Room Above Her by the Paul Motian/Bill Frisell/Joe Lovano trio. 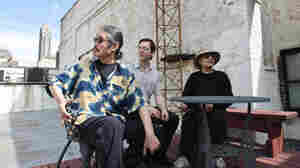 May 29, 2012  Masabumi Kikuchi's fully improvised album Sunrise features late, like-minded drummer Paul Motian. 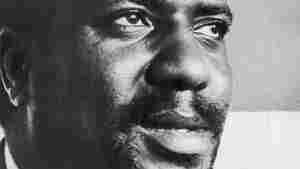 October 6, 2008  Thelonious Monk, who would have been 91 on Thursday, wrote many great songs. But a great many covers of his music wind up butchered by interpreters who seem not to understand it. From the scores of full-length tributes, here are five which demonstrate the good sense to keep Monk weird. 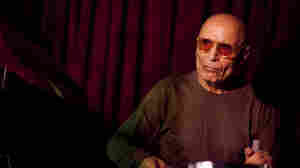 January 19, 2012  The late Paul Motian plays drums on this set from the Village Vanguard, his favorite room. November 23, 2011  "At first, I went to some of his gigs," writes photographer John Rogers. "Then it became all of his gigs. I went to every gig he played for the past three years, at least. I probably saw him play over 300 times." 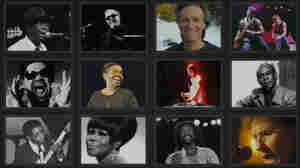 November 22, 2011  The colorful drummer and composer was known for his deep internal sense of swing. He was 80. 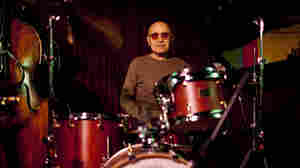 March 13, 2006  Drummer Paul Motian has spent more than 50 years in music, working with jazz luminaries like Bill Evans and Thelonious Monk. 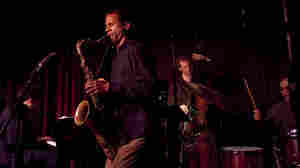 At 75, he has a new CD of bebop jazz: Garden of Eden, featuring his own band. April 15, 2010  Outtakes from the great drummer, told — where else? — about the Village Vanguard. 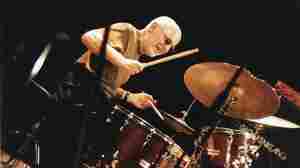 August 5, 2006  Jazz drummer Paul Motian turns 75 this year. His extensive career and his long relationship with the New York club the Village Vanguard are worth celebrating. April 8, 2010  Jazz drummers leading their own bands often feature intricate rhythms and brisk, driving momentum. 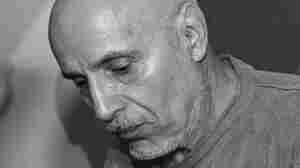 Paul Motian, with his slow tempos, loose timing and tunes that go with rainy days, is so self-effacing, he's almost an anti-drummer. A little rustle of brushes and the faint boom of a bass drum may be all he'll use to nudge the music on.